BU Students for Justice in Palestine Protests Zionist CAMERA Conference: "War by Other Means"
Sheikh Jarrah Demo Against the Israeli Occupation, Colonization, and Ethnic Cleansing 8-10-10. Vittorio Arrigoni è "Testimone di Pace 2010", Città di Ovada. Egipto prohibe entrada de la caravana "Viva Palestina 5"
ALIMA BOUMEDIENE-THIERY : TOUCHE PAS À MA SÉNATRICE ! Many shebab, two journalists and a girl were injured on Friday at the weekly demonstration in An Nabi Saleh. Villagers had employed a new strategy in response to the increasing violence of soldiers and border police. Demonstrators split up and approached the road from the two opposite hills divided by the valley. The side with most of the shebab was blocked with massive amounts of teargas and attacked by border police. From the other side, most of the internationals, women, and children entered the road and continued the demonstration. Police shouted and attacked some Palestinians with pepper spray directly in their faces. Soldiers attempted to arrest an international, saying “we want to talk with you.” With the support of other internationals and Palestinians he was de-arrested. Border police declared the road “a closed military zone” without showing any paper or map as proof. Demonstrators asked to look at the paper, but the commander “was not able to find it”. Soldiers gave people 10 minutes to leave, threatening that everyone would be arrested otherwise. The demonstrators remained and argued with the soldiers, but the only response was a round of sound bombs shot directly at them. Border police isolated the internationals and most of the children and women of the village from the shebab, occupying three houses in the village center and clashing with the shebab for several hours. They shot two Palestinian journalists, leaving one injured on the arm and the other on the leg. Border police and soldiers continued their attack on the shebab until after sunset, pushing the clash to the olive fields surrounding the village, using rubber bullets and tear gas. At this same time, the internationals and women were attacked with heavy amounts of tear gas. About sunset, one 10-year-old girl was injured by a rubber bullet. In total, 22 people were injured, and 5 are still in the hospital. These weekly demonstrations have been taking place since January, 2010. One man in the village said “We want to build a strategy for all Palestine to find a way to resist against the occupation.” The village has a strong story of resistance: During the first Intifada almost half of its inhabitants were in jail. Women always participate in the Demonstration and act independently. Friday, demonstrators in Ni’lin succeed in cutting away part of the electric fence that annexes land onto the nearby illegal settlement Modi’in Ilit. Around one hundred Palestinian, Israeli and international activists gathered under the olive trees just outside the village and, after the noonday prayer, marched through the village’s land towards the Apartheid Wall. In protest against the illegal settlements that have already stolen most of their land and that prevent them from farming what little is left, some youth from the village threw stones symbolically against the Apartheid Wall. A few minutes after the demonstration reached the wall, the army responded with tear gas. As the wind was often blowing toward the wall, the soldiers frequently got a taste of the tear gas themselves. Some protesters then managed to cut a part of the electric fence. At that point, soldiers came out from the gate to check what was happening, and the protesters retreated. Quite surprisingly the soldiers didn’t follow the protesters as they usually do, but went back to hide behind the concrete slabs of the wall and continue to shoot tear gas. The demonstration finished around 3 p.m. with no injures or arrests. In a peaceful demonstration attended by Palestinians, Israelis and international activists in the Palestinian village of Al-Ma'asara in the West Bank, the Israeli army advanced on the demonstrators without being provoked, arrested one protester and then proceeded to throw grenades and tear gas at the rest. This is despite the demonstration being completely peaceful. This is an example of how the Israeli army violently crushes any nonviolent protest by Palestinians and human rights activists. Dr. Richard Falk's message to the One Democratic State Conference in Dallas, TX. Families in the village of Qusin with properties close to the illegal settlements Shave Shomeron and Shave Shomron, make an attempt to harvest their olives but soldiers forced them to leave. One of these families has been unable to access their land for the last nine years due to settler attacks and pressure from Israeli soldiers. Another family tried to pick olives about ten days ago but soldiers arrived and stopped them. According to the Israeli High Court of Justice decision, Palestinian farmers have the right to access their land and soldiers must protect them. Immediately upon the families' arrival at their land, however, soldiers confronted them and argued that for the protection of them from settler violence, it was necessary for the farmers to leave. The Dump Veolia Campaign lead a demonstration outside the Natural History Museum on 23rd October 2010 to protest against Veolia's sponsorship of the Environment Wildlife Photographer of the Year Exhibition at the Natural History Museum. Veolia still holds shares in the Jerusalem Light Railway project which the UN Human Rights Council has declared is a 'clear violation of international law', despite the recent announcement that it was selling its shares to Egged. The tram line runs across stolen Palestinian land connecting illegal Israel settlements and West Jerusalem thereby helping consolidating the occupation. Veolia also runs bus services to the settlements on roads Palestinians are barred from using despite the fact that they are built on their land. Veolia's shameful crimes in Palestine also include the Tovlan landfill site it operates in the occupied Jordan Valley where it helps Israel dump its toxic waste on to Palestinian land next to the Palestinian village of Abu Ajaj. Veolia still has 20% shares in the Jerusalem Light Railway (despite recent announcement that it was selling 80% shares to Egged) and provides a bus services and landfill site servicing settlements. Veolia, sponsors of Israel's occupation and settlement policies on the West Bank, has also been allowed to sponsor the Wildlife photo exhibition at the Natural History Museum in London. This alternative photographic exhibition outside the museum and the accompanying leafleting is in protest at the British establishment's policy of turning a blind eye to the illegal and unethical collusion of our own and foreign corporations with the fascist regime in Tel Aviv. The pictures on display outside the NHM show just a few of the devastating results that Veolia's complicity in Zionist war crimes facilitates. All we know is Ken O'Keefe is the 'real deal'. He acts and speaks with honesty and integrity as he shares with us his history and then experience as a member of the Gaza Flotilla -- as if told from one generation to another -- in a different world and a different time. Ultimately, as a world citizen for all eternity, he is a soldier and poet of The Truth. This event was sponsored by Canadians Against Isreali Apartheid. Ken O'Keefe: Disclosure - The truth about what happened on the Gaza Humanitarian Aid Flotilla from ICTV Victoria on Vimeo. "This is the “Empire, Power & Propaganda” Lecture & Discussion Series by PROJECT CENSORED. This event will feature Nora Barrows Friedman & poet Tiffany Higgins. Nora Barrows Friedman is well known for her years of reporting on KPFA’s FLASHPOINTS show with Dennis Bernstein. Nora has just returned from a trip in Palestine, where she did in-depth reporting for Electronic Intifada, al-Jazeera, and other outlets. She will be speaking about her trip. Live Video-Cast from Berkeley — Report from Palestine –Nora Barrows Friedman from No Lies Radio on Vimeo. Omar Barghouti, a human rights activist and co-founder of the Palestinian Campaign for the Academic and Cultural Boycott of Israel http://www.pacbi.org/ , said on a Canadian speaking tour, that he is among the most optimistic in the global BDS (boycott, divestment and sanctions) movement against Israeli apartheid, but is himself surprised at the rapidity of its growth. In the Q&A period, Bargouti said the PACBI campaign is a mainstream, consensus movement focused squarely on BDS. Although Barghouti says he personally supports other progressive agendas, such as the anti-neoliberal globalization movement, women's rights, and so forth, the BDS movement focuses narrowly on BDS goals in order to remain broad-based and effective. It, however, defers to groups around the world on how to implement BDS in their local communities, whether they are full steps, half measures, 1/100th measures, anything that works. But Barghouti does not support the Sullivan Principles promoted by some in South Africa, which called for codes of conduct by transnational corporations in apartheid regimes, such as equal treatment of employees, regardless of race, because those companies' presence and taxes still support and legitimize apartheid in the state. [part 8 of 11] He supports the critical statement Bishop Desmond Tutu made in reference to the Sullivan Principles: "We don't need anyone to polish our chains. We want to break the chains altogether." The conversation with Barghouti, entitled "Questioning the Boycott of Israel: A Path to Justice or an Obatacle to Peace?" was presented by the University of Toronto Middle East History and Theory Workshop, and endorsed by the Political Spaces Research Cluster of the Department of Geography and the Graduate Students Union Social Justice Committee at the University of Toronto. The event was introduced and moderated by Jens Hanssen, Associate Professor of Middle East and Mediterranean History at the University of Toronto. Una pelicula documental de la historia de Palestina. Propiedad de Aljazeera. Since 1967 countless artifacts have been unearthed and removed from the occupied West Bank and Gaza Strip. Many are displayed in Israeli museums and private collections, while others are sold to tourists. Al Jazeera searches through the evidence, unearthing the facts and exposing a power struggle in which every stone has meaning. Jewish National Fund (JNF) national conference was held. Strip the JNF of its charitable status! Stop the JNF, Stop Greenwashing Apartheid! For many centuries olive tree has been a symbol of peace and well-being. With the persistent occupation of the West Bank and the continuous destruction of olive trees by Israel, the table has turned. The uprooting of Palestinian olive farms by Israeli occupation is discussed in this edition of Remember Palestine. Boston University's Students for Justice in Palestine group was joined by pro-Palestinian activists from around the Boston area on Sunday, October 10th, 2010 to counter 'War by Other Means: The Global Campaign to De-legitimize Israel,' a two day conference held by the zionist 'media watchdog' group CAMERA. 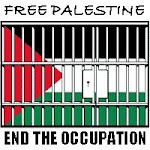 Free Palestine! of Israeli bonds. Heller has established a committee called Dump Israel Bonds. www.dumpisraelbonds.com and he explains why he set up this committee. ...a star-studded BT-sponsored 'british olympic ball" was targeted for protest by pro-palestinian activists to highlight BT's partnership with israeli telecommunications firm "bezeq international" who provide military telecommunication infrastructure throughout the occupied west bank and golan heights. here there is a report , some pics and a very short film of the night. 24 September 2010. Rhythms of resistance samba band arrive to red carpet reception. Protest against BT which is partnered with Bezeq - an Israeli company providing telecommunications services to Illegal settlements and military checkpoints in the occupied Palestinian West Bank. Critical mass join party later on. Latest in the series of two weekly protest demos outside the Ahava shop in London, which markets so called 'Israeli' goods which are in fact goods made in an illegal settlement on stolen Palestinian land with chemicals stolen from the Palestinian territory at the north western corner of the Dead Sea.. This explains Ahava's relactance to go to court against pro-Palestinian activists as they know they are involved in the illegal sale of stolen goods. The Palestinian village of An Nabi Salih gathers every Friday in protest at the theft of their land, their water and the daily brutality of the illegal Israeli occupation. As in all the Palestinian villages confronted by the overwhelming military superiority of the IDF the question turns increasingly to how to confront an Occupation that ignores international law, principles of humanitarian justice and is tasked with protecting the ever expanding settlements. Around 70 Palestinian, Israeli and International solidarity activists demonstrated in Beit Ommar against the Israeli settlement of Kamei Tsur, which is built on village land. Israeli Forces arrested four Palestinians, three international, and one Israeli solidarity activists. An Israeli Special Forces unit disguised in Palestinian clothes snuck of on the rear of the demonstration and arrested three youth. Additionally, the Israeli and international solidarity activists were pepper sprayed before being arrested. Sound bombs and tear gas were used against the demonstrators and members of the press were also beaten. The exhibition Showcases cultural heritage, history and daily life of Palestinians. 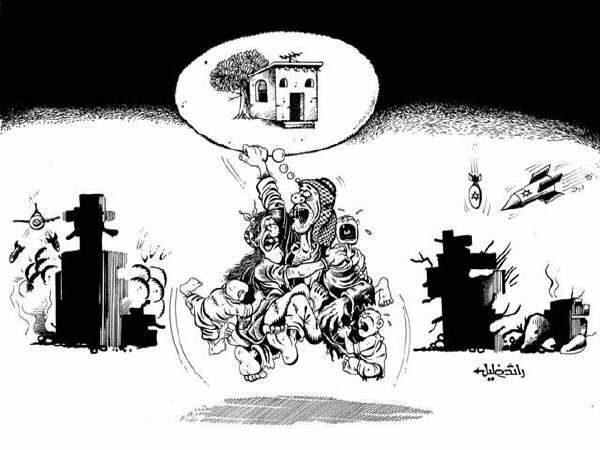 The residents of the Umm Haroun compound are in danger of being thrown out of their homes! Figura anche Vittorio Arrigoni tra le persone che questa sera riceveranno il premio 'Testimone di Pace'. Un riconoscimento nato nel 2006 per la volontà e l'impegno congiunto dell'amministrazione comunale e del Centro per la Pace e la Nonviolenza dell'Ovadese 'Rachel Corrie'. Il Premio viene conferito, nella ricorrenza del 4 ottobre, a una personalità che si sia particolarmente distinta per l'impegno e l'azione nell'ambito della pace e della nonviolenza. Vittorio Arrigoni, trentenne pacifista bulciaghese, riceverà il premio speciale 'Rachel Corrie'. Nel corso della serata, che si terrà presso il Teatro Comunale di Ovada, sarà proiettato un interessante e toccante video inedito sulla situazione dei Palestinesi che vivono a Gaza. Il video è stato realizzato esclusivamente per Testimone di Pace da Vittorio Arrigoni e racconta quanto è accaduto e quanto sta accadendo a Gaza in questi giorni. Vittorio Arrigoni è un attivista per i diritti umani arrivato a Gaza il 25 agosto 2008, prima dell'operazione offensiva di Israele 'Piombo Fuso'. Da quel giorno è rimasto a Gaza come attivista umanitario impegnato a proteggere i pescatori, i contadini ed i paramedici palestinesi dai quotidiani attacchi dell'esercito israeliano. Ha continuato inoltre a raccontare, unica voce italiana sul terreno, come vivono e muoino gli abitanti di Gaza sul suo blog Guerrilla Radio. Every day thousands of Palestinian farmers are unjustly prevented from farming their lands. Why? Israel wants to make life as hard as possible for Palestinians because it is trying to drive them out of Palestine.Ethnic cleansing in other words. What can we do about it? An Israeli settler hit two Palestinian children with his car causing Friday afternoon in Silwan neighbourhood of Jerusalem. Eyewitnesses reported that after the Friday prayer at the Silwan protest tent, clashes erupted between Israeli settlers and Palestinian youth. According to the witnesses report, head of Elad settler organization, David Be'eri, deliberately hit the two children with his car and fled the scene. Israeli sources on the other hand stated that the two kids were hurling stones at Be'eri before he rammed them with his car. The two children were identified as Imran Mansour, 11 and Eyad Gheith 10, and were taken to Al-Maqased hospital for treatment. Their wounds were described as moderate. According to the Israeli daily online, Haaretz, Be'eri is a well-known right-wing activist and is the director of Elad, a nonprofit organization that runs the City of David in East Jerusalem and also works to settle Jews in the area. Israeli settlers have taken by force a number of homes in Silwan, some of them claim they have purchased these houses from their Palestinian owners. Israeli leader of a settler group ran over two Palestinian children today in Jerusalem . One of the kids has medium injuries and now he's hospitalised.